The November 2018 Impact Trip team included some special people: team members from Epiphany Parish. In 2005 they partnered with the village of Belen through Agros International and are now rekindling their partnership by providing scholarships for three students to attend Nicolas Christian School. We are so grateful they walk alongside these students as the future leaders of Belen! Check out our student page to pray for our students by name and donate to support their dreams! Please support Nicolás Fund for Education on Giving Tuesday, November 27th by making a donation! Giving Tuesday is a global day of GIVING that takes place after Thanksgiving and before the holiday season. It is a movement intended to help counter the consumerism of the holiday season and raise the holiday spirit through giving to others. What a great way to start the holidays! We have an NFE donor willing to match all contributions up to $1000! You can also support Nicolás Fund for Education by using your social media to encourage others to donate to Nicolás Fund. This year, we are asking all donations to go through our website. Share this link to to our #GivingTuesday donation page: http://nicolasfund.org/givingtuesday-2018-donations/ Matching Donations Don’t forget many employers match donations. This is a great way to see your donations go further! Nicolás Fund for Education is delighted to announce that we have purchased a piece of property for our new school. This was made possible by a very generous donation from a foundation for which we are so grateful! With God’s blessing and guidance, we now need to raise approximately $400,000 for construction of the school. The relative was so impressed by what they saw that the landowner elected to drop the price by 43% to a sum we could manage! The landowner had originally listed this property at approximately twice the price for which we eventually purchased it. When the landowner learned that Nicolás Fund for Education was looking at properties in the area, she sent a relative to Nicolás Christian School to find out what we were about. It was a learning process to buy land in Guatemala The 4.9 acre property is close to Cotzal. It is about 5-10 minutes from La Bendición, 15 minutes to La Esperanza and 20 minutes to San Nicolás. It is across the street from a cell tower and is reported to have the best internet connectivity in the region and very good cell reception. The land is adjacent to a soccer field on the road to La Bendicón, so most of you have driven past it! The land is mostly level and we do not anticipate problems with construction. Land is measured in cuerdas (a cuerda is a string or rope of 25m x 25m) and property boundary landmarks are legally described as the distance between a “bad milk tree” and a “pito palo tree”! [spacer height=”20px”]The July NFE Impact Team investigated the possibility of Nicolás Christian School offering a distance learning program in the village of Trapichitos, contingent on finding a sponsoring church or organization. Trapachitos means “place of the sugar mills.” Trapichitos is an Agros village that was formed in 2000 with 61 families and 635 acres. Trapichitos farmers grow coffee and have fruit trees bearing bananas, lemons, and oranges. The elevation is about 4,600 feet above sea level. 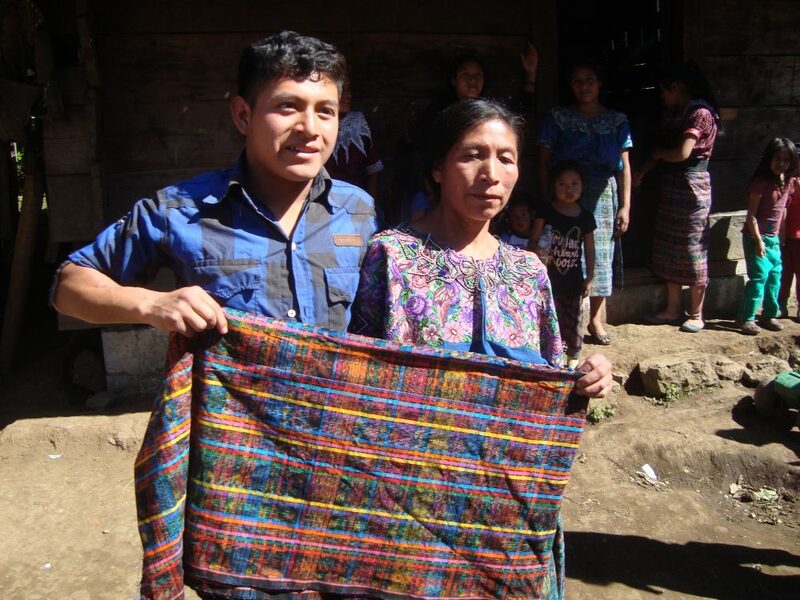 Trapichitos partners with three surrounding villages to produce a Guatemalan coffee bean called “Ixil A’achimbal” (the local name for this region). The other partner villages are Batzchocola, Sumalito and Xeucalvitz. Trapichitos is about 22 miles from Nebaj, where Nicolás Christian School is currently located. The 22 miles is a difficult and treacherous trip with frequent washouts and mudslides on the road. Currently, the village has access to a junior high, but no senior high school. 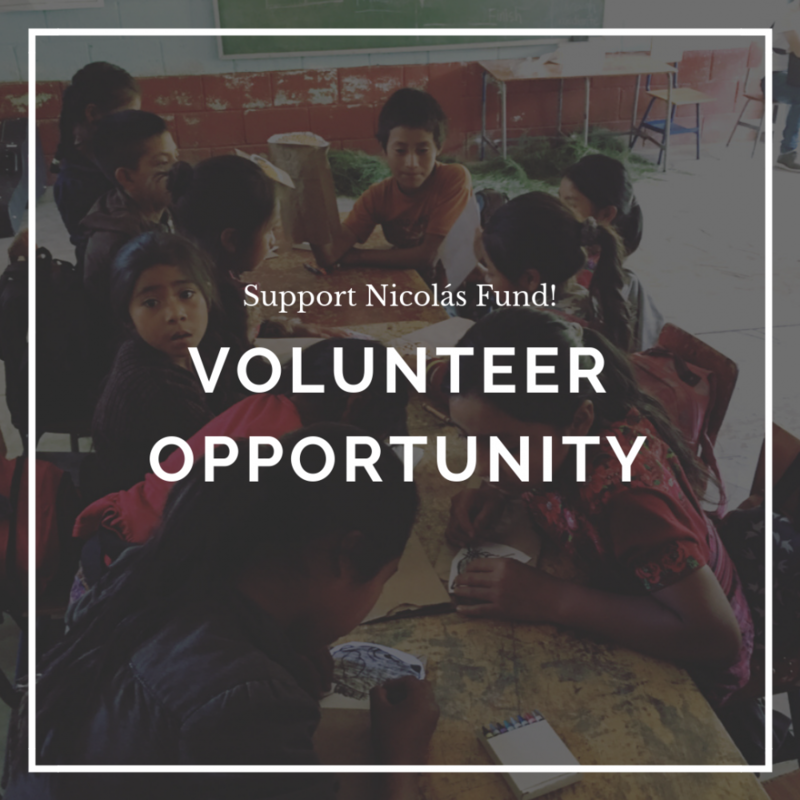 Nicolás Fund for Education is exploring the opportunity to share the resources of Nicolás Christian School with other more remote villages through DVDs of teaching presentations from Nicolás Christian School teachers, provision of a qualified teacher, curriculum and textbooks, etc. Please pray with us that we are able to find the donor support of God’s own choice for this new venture. [spacer height=”20px”]Potential Property for a New School Our July team had the opportunity to view potential properties and assess how well they would meet our needs for the new school. We now believe that we have found our ideal location, and are commencing negotiations. Once the deal is secured, more information about the property will be shared. We are so grateful to the Bolthouse Foundation, as they have agreed to cover the cost of the land for us. We plan to begin developing site-specific architectural plans soon. The proposed location has 4G and a cell tower across the street! It will have the best connectivity in the area! Construction Costs We are accepting individual donations and grants from foundations towards the cost of construction of the new school with a target to raise $300,000. This new school will accommodate 150 students and will be much closer to our students’ villages. This location will significantly reduce, but not completely eliminate, the significant expenditures for transportation. Volunteers Needed We are seeking volunteers to assist us with raising the funds needed to build and equip the school and to assist us in planning the school. Interested in Volunteering? We’d love to hear how you’d like to help!